Video is a powerful medium for communicating ideas, illustrating action and engaging the viewer. Instructors and students now have access to tools that enable the creation of a variety of types of videos. Depending on the design of the activity and the instructor’s learning outcomes, students can learn both from the content of the video and from producing the video – especially in teams. Let CTL help you decide on video and get the best results. Quality video focuses on making the message clear and simple. 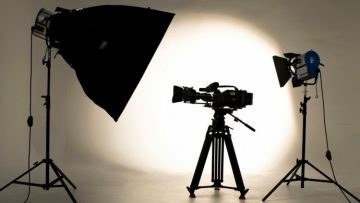 Whether your video is recorded in a carefully set-up studio or outside, you need to consider script, audio, image and lighting. Effective educational video is kept to short segments, and combined with other student interactions. The most popular use of video is for just-in-time communication in a course in the form of periodic webcam updates, videoconferences, screencasts or lecture capture for lesson reviews or when either instructor or students cannot attend the live event. CTL can help you determine whether video is suitable for your learning outcomes, what kind of video can best help your students achieve them, and how to make the video more effective. If you plan to reuse the same video in different courses and if you want to distribute it publicly beyond your course, we recommend you also consult UBC Studios Okanagan to plan and record the best product possible.